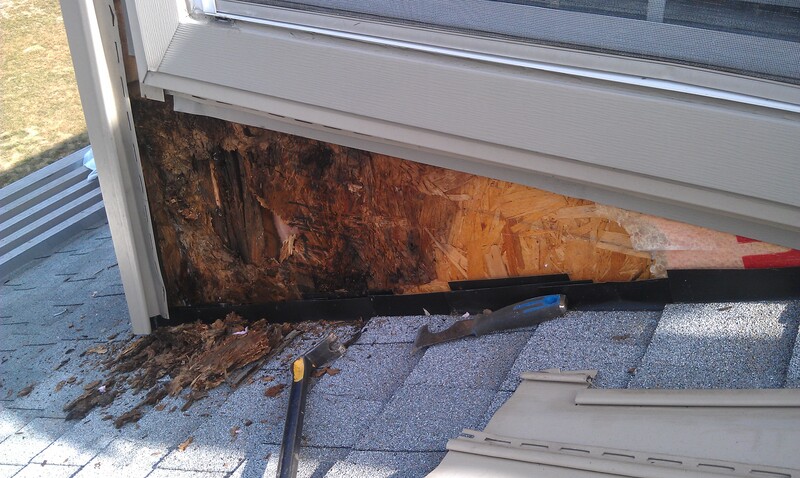 When we are contacted by a homeowner with a leaking roof the problem is not always easy to find. 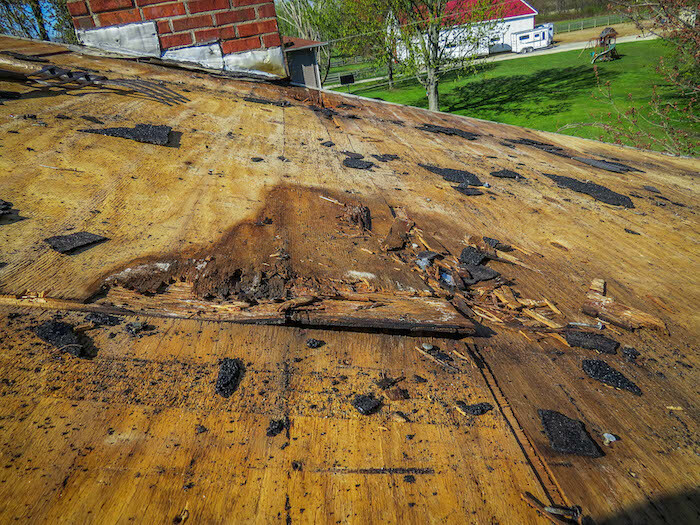 We have also found that many homeowners have been dealing with leaks that have already been “repaired” by other roofing companies. The problem is some roofing companies only know roofing so they automatically focus on the roof as the problem. The photo above is a great example of a leak that is typically blamed on the roof but is actually a problem with the window and roof. We have come across more and more of this type of issue. The problem is that when this house was built, the builder did not install the proper vapor barrier on the walls. For years the window above the roof has been leaking back behind the siding and running behind the black metal step flashings and into the foyer below. The damage is very apparent and should have been fixed right the first time. 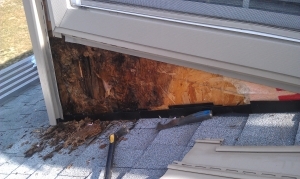 The homeowner had paid a few different roofing companies to repair it and they both neglected to pull the siding off and instead they only focused on the roof. We specialize in finding leaks and fixing them right the first time! Sometimes the repair is more extensive than a quick fix but it is always best to get the problem solved to prevent further damage to the exterior and interior. If you have a leak please call us for a free and thorough estimate today! !